Progress (one name, like Beyoncé) is Head of Production at The Creamery and has been a part of our team since we started scooping in 2011. 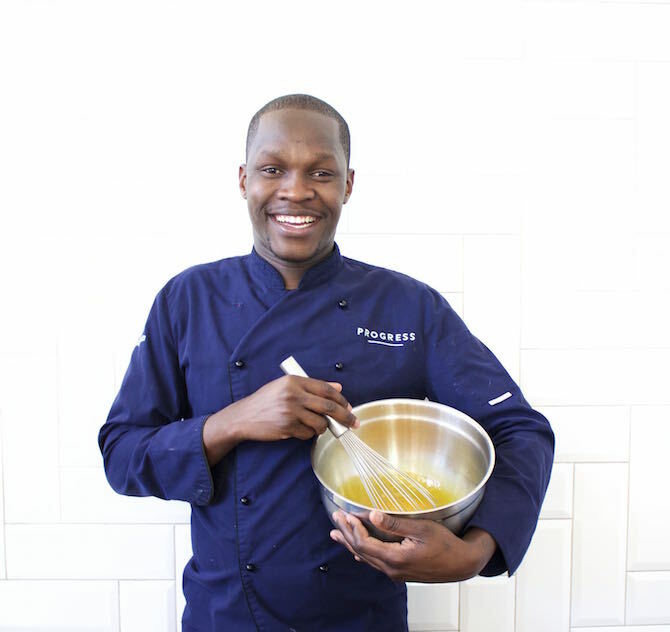 Aside from being an actual professional ice cream developer and taster, he is responsible for figuring out just how to capture our favourite flavours (Carrot Cake, Melktert, Naartjie) in ice cream. The Creamery: How did you get into the food industry? Progress: I was inspired by the food nutrition class I took in high school. 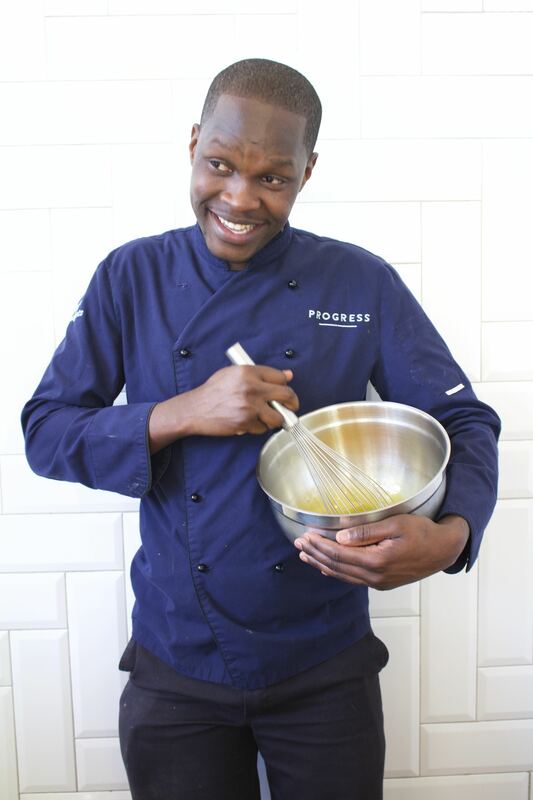 I was the only boy in the class (we were told that “cooking is for ladies”) but once I left school I decided to follow my interest in food by doing cooking courses that were on offer in Zim. I later moved to Cape Town and went to North Link College to study to be a chef (I studied hot kitchen and barista training). I used to work at Obz Café and a colleague of mine started working for The Creamery and told me they were hiring. I was interested in working in a context other than hot kitchen and experiencing a different product production so I applied for the job. TC: Have you always loved ice cream or has being part of our team turned you into an ice cream-lover? Progress: I have a sweet tooth and always ate ice cream. But I love ice cream more since I’ve been working at The Creamery and it’s made me an ice cream snob. I’ve tried to eat other brands but I have to tell people I’m full so that I’m not forced to eat other ice cream that isn’t as good as what we make! TC: What is your favourite flavour to make? TC: What’s your favourite flavour to eat? Progress: I like Granadilla Choc Chip the most because it’s sharp but still quite sweet. The balance between the two is really delicious. TC: What do you like best about working The Creamery? Progress: It’s a very happy work environment where we all work together because we enjoy being together and we’re proud of the product we’re creating. There’s also a lot of freedom to express yourself. Working around such a specific product (desserts and ice cream) allows for a lot of input and individuality when you’re making suggestions or simply deciding how to plate an item. It’s a very special place to come to work each day. TC: Why are you proud of the ice cream we produce at The Creamery? 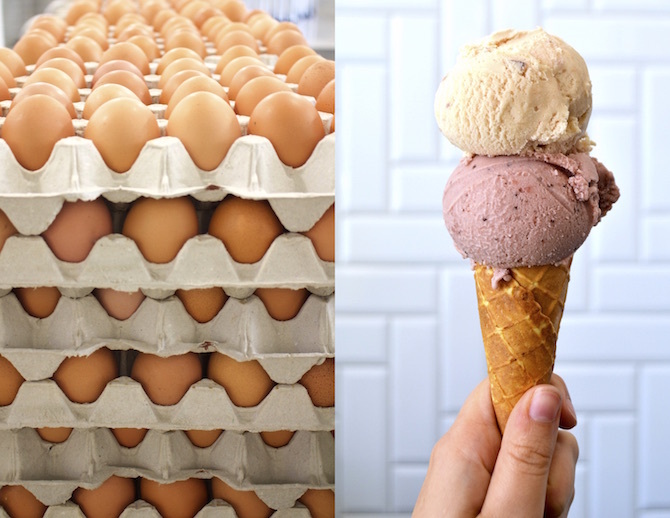 Progress: I believe we’re able to give customers an ice cream experience that they can’t get elsewhere in Cape Town. For example, our product doesn’t use animal fat (gelatine), it’s a whole food product, handmade, using local ingredients. We put a lot of care and thought into making something delicious that people can enjoy. TC: What do you love about food and making it for others? Progress: I believe food makes everyone happy. If you can make someone happy by making them food, it’s a very fulfilling thing. 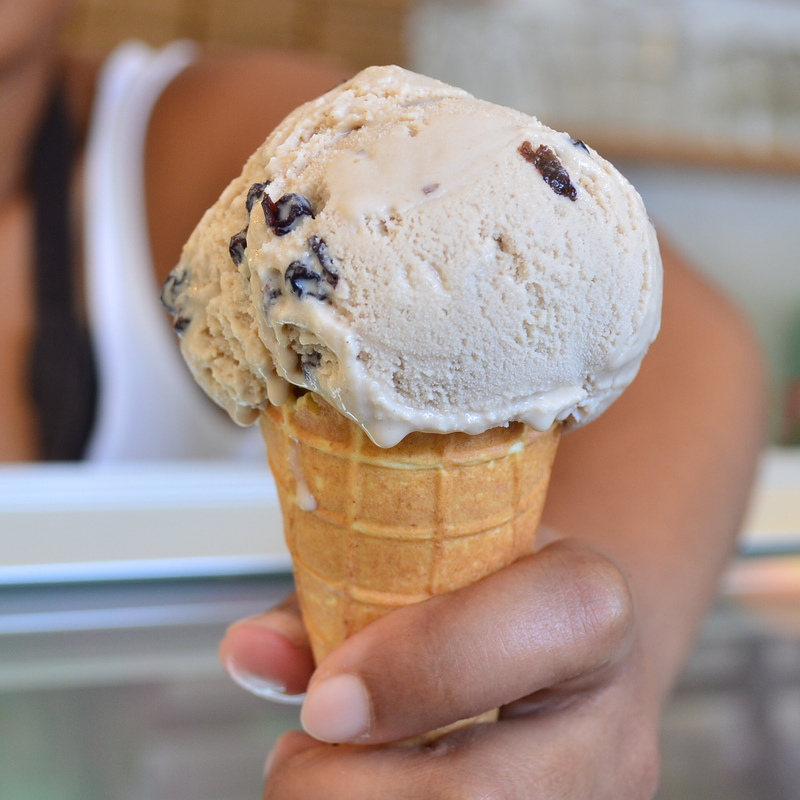 Visit us at our Salt River Café or at the Newlands Café for handmade ice cream.